The classic New Zealand identification guide. Every home should have one. Buy it here. The adult leaves of mingimingi are 1-2.5 cm linear-oblong and arranged in fascicles or whorls. The juvenile form may display larger leaves to 4cm. Mingimimgi is an open branched shrub reaching 5m. 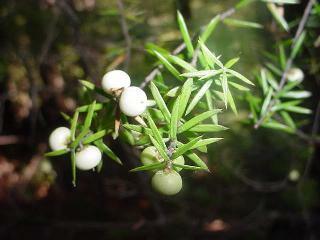 This common plant of scrublands and beech forests can be mistaken for manuka or kanuka. It has a distinctive adult and juvenile form which can add to the difficulty in identification. The younger leaves are larger than the adults. As an adult it can grow to 5m. and produces small green flowers in spring. 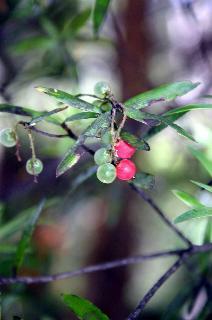 The berries are red and oval to about 0.8 mm long. To germinate the seeds, wash the seeds from the berries. There will be one seed per berry. Sow straight away. It may take 3 or 4 months before germination occurs. 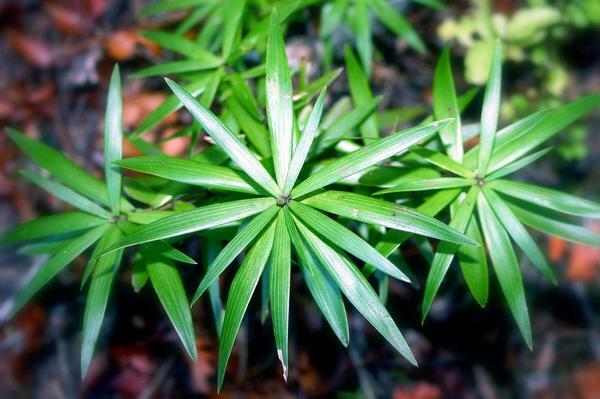 Similar to C.fasciculata, however, it has pungent leaves that are prickly to touch. The single drupes which may be coloured red, pink or white. There is no juvenile form. 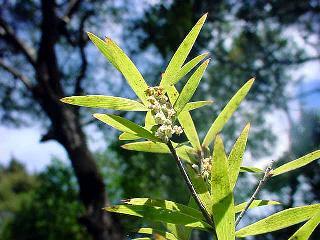 The leaves are 6-16mm long, needle like, with a pungent tip. This shrub can reach 5 metres. The single flowers can be 2-3mm long. Prickly minimingi can be found throughout New Zealand in forest and scrub.